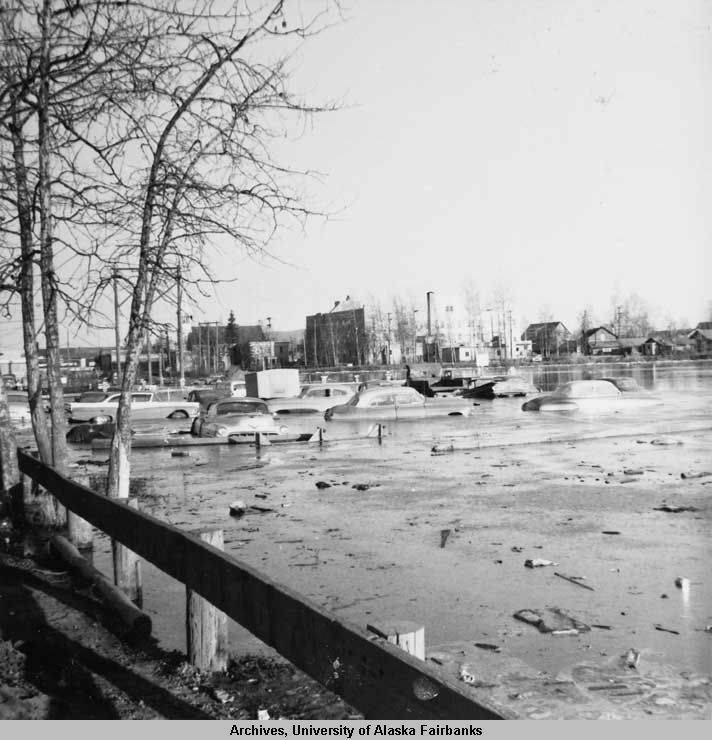 In August 1967, prior to the start of the 5th Legislative session, the second natural disaster of the decade struck: the Chena River overflowed its banks, flooding the city of Fairbanks and outlying areas and displacing 7,000 people. Damages were estimated at more than $80 million. In response, the Legislature passed a number of disaster relief measures during a special session, established a Disaster Relief Fund, and enacted a $10 disaster relief tax on all employed persons and a one percent disaster oil production tax. During the regular session, lawmakers established the state's first financial aid program for undergraduates attending accredited Alaska institutions, repealed the restriction prohibiting the admittance of Alaska Natives to Pioneer Homes, created the Alaska Industrial Development Authority, established gold as the official state mineral and jade as the official state gem, and expanded the Alaska Supreme Court to include five justices. Following the "land freeze" imposed by U.S. Interior Secretary Stewart Udall to protect Native lands, Governor Hickel formed an Alaska Lands Claims Task Force, which proposed a land settlement of 40 million acres and $50 million for Alaska Natives if the land freeze were lifted before the end of 1968. Lawmakers then passed legislation consistent with the Task Force's recommendations. The legislation and recommendations were before Congress during consideration of the Alaska Native Claims Settlement Act, which became law in 1971. Also in 1968, lawmakers increased the oil and gas production tax from one to three percent of production value, and approved the issuance of $48 million in construction bonds for schools, highways, airports, and the Alaska ferry system. The Legislature also made a first attempt at enacting limited entry for commercial fisheries. Although the legislation was found unconstitutional, the legal issues were instructive for future Legislatures. On March 12, 1968, oil is discovered in Prudhoe Bay-dramatically changing the arc of Alaska's future. The U.S. government pays Tlingit and Haida people $7.5 million in compensation for land claims filed in the 1930s. The Third Arab-Israeli War, also known as the Six-Day War, is fought, which results in Israeli control of the Gaza Strip and Sinai Peninsula from Egypt, the West Bank and East Jerusalem from Jordan, and the Golan Heights from Syria. The United States Department of Transportation begins operation. A decision of the United States Supreme Court unanimously ends laws prohibiting interracial marriage. The Viet Cong launch the Tet Offensive. Student antiwar protests occur around the country and the world. Senator Robert F. Kennedy and the Reverend Martin Luther King, Jr., are assassinated. Richard Nixon is elected the 37th President of the United States.